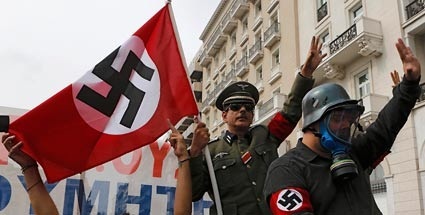 Merkel is being really demonized in Athens for the German fear of hyperinflation imposing deflation as the solution. Politicians must wake up before they tear Western Society apart. There is no way out with austerity. You cannot cut everything to pay the debt. Social unrest will tear everything apart and 2014 is not looking very good. We ABSOLUTELY must revise the world monetary system and eliminate the debt. Unless we do this restructuring, there will be nothing that resembles modern society within months of the default that will destroy all pension funds even those fully funded. We will be reviewing the Cycle of War/Revolution/Civil Unrest at the upcoming conferences in Bangkok and Berlin. Suffice it to say. 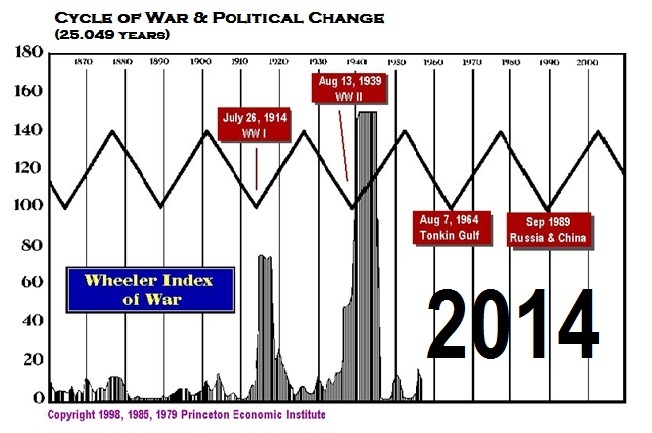 World War I and II, Vietnam, and the Fall of Communism all began on this cycle, They next target remains 2014. The politicians are ignorant of history and the consequences of their actions. It appears we are all going to pay the price.